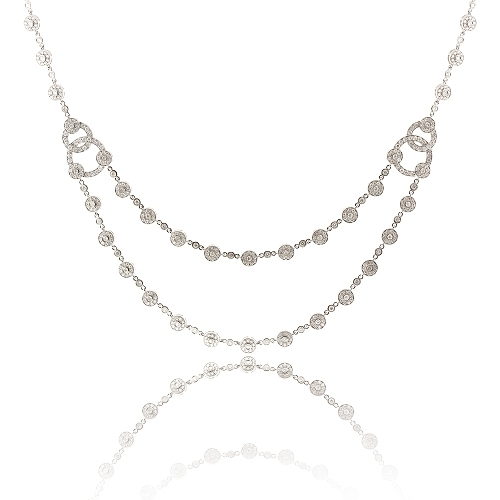 Double strand necklace with diamond links set with brilliant diamonds mounted in 18k white gold. Diamonds approx. 4.44ct. Necklace 17"